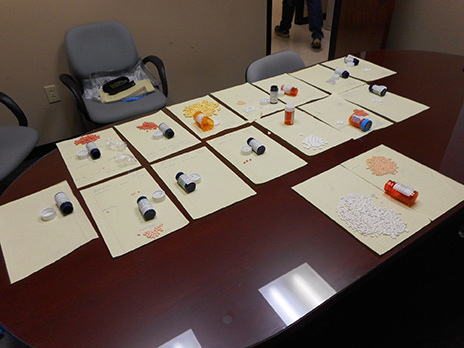 FEBRUARY 13--A 75-year-old Tennessee grandmother is facing narcotics distribution charges for allegedly operating an opioids supermarket from her residence, police charge. 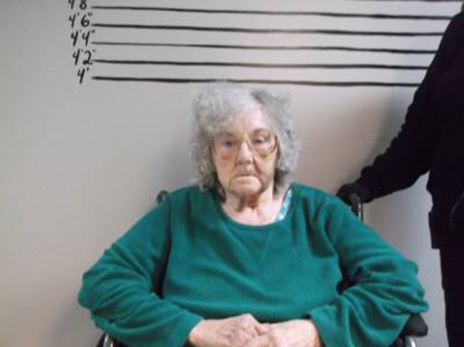 Betty Jean Jordan was arrested Friday at her home in Parsons, a city about 100 miles southwest of Nashville. The wheelchair-bound Jordan--dubbed “Kingpin Granny” by cops--is pictured in the above mug shot. Jordan was collared following a lengthy undercover investigation by the Decatur County Sheriff's Office. During that probe, agents purchased pills from the septuagenarian, whose home was raided concurrent to her arrest. Charged with six felony narcotics counts, Jordan was booked into the county jail (from which she was later released after posting $50,000 bond). Police expect to make additional arrests in connection with Jordan’s alleged narcotics distribution activity.